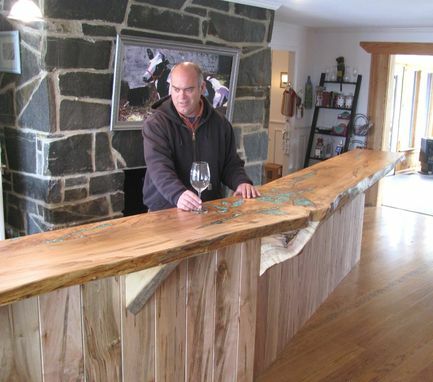 We built this gorgeous Wine Bar for McRitchie's Winery here in the Yadkin Valley of NC. 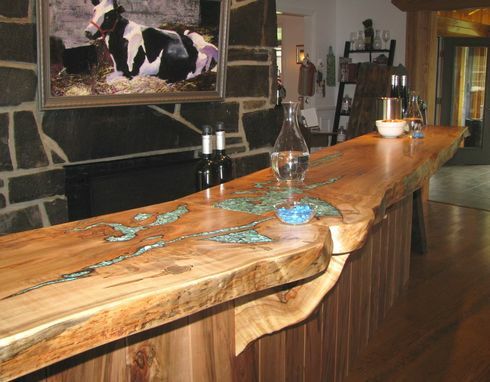 Incredibly the 16-foot bar made the tasting room look larger! 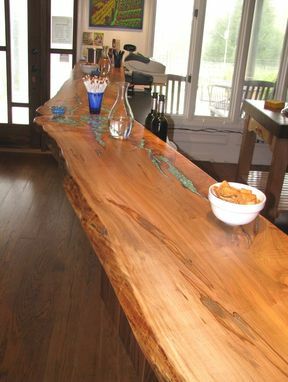 It features two huge Ambrosia Maple natural edge slabs joined to create a gentle curve, with generous turquoise inlays. 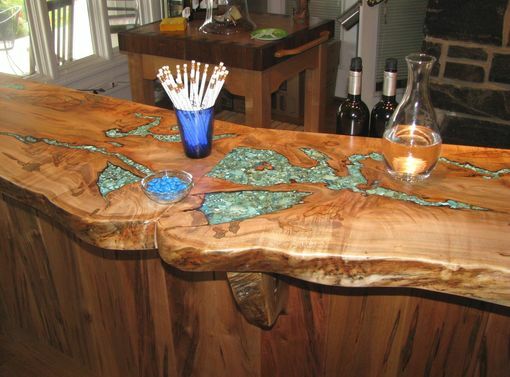 It is fronted with Ambrosia Maple and features a laminated workspace behind. Whether you will be entertaining friends in your home or serving guests in your restaurant or wine bar, let us design a wine bar just for you!